Strict compliance with the cheese production technology. 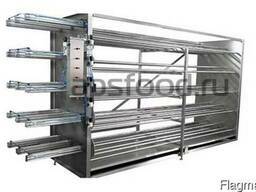 Universal machine suitable for all mould varieties. Keeping to the right technology is key to making tasty cheese. With an automatic press your production will no longer rely solely on the operator adjusting the settings. You will be sure that the correct manufacturing processes are always observed as the operation mode, once set, will be controlled by a program. The system controls two basic parameters – pressure and pressing time. Operation programs are logged based on these two settings. 1. Step-by-step operation program that involves several pressing programs one after another. The second mode resembles the operation of a manual press but that is not exactly the case. Imagine that an operator manually set the pressure (somewhat inaccurately) and let the machine press for 30 minutes. He then turned off the pressure not in 30 but in 35 minutes – that resulted in failing to keep the technology right and subpar quality of the product. В случае использования пресса с автоматическим пультом управления система сама уберет давление ровно через 30 минут, что позволит Вам всегда быть уверенными в соблюдении технологии и качестве прессования. An automatic press would turn off the pressure in 30 minutes by itself, and that allows you to have trust both in the pressing quality level and compliance with the right technology. 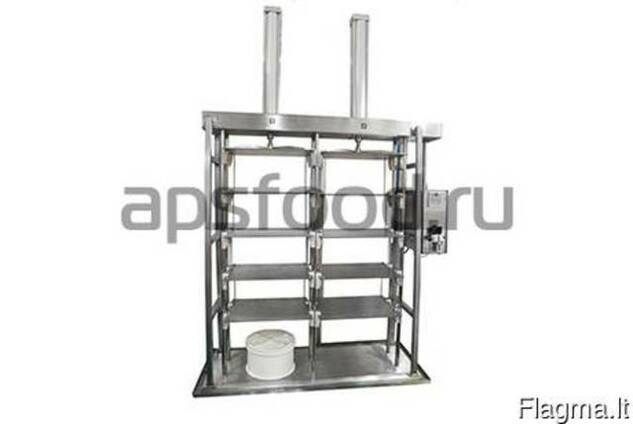 The automatic vertical press boasts extrawide shelves (650 х 520 mm) with the operational area of 580 х 520 mm. 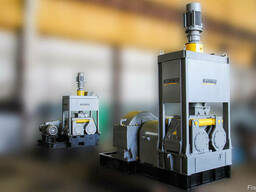 That allows you to put more moulds on a shelf and consequently increase the output in a single pressing cycle. 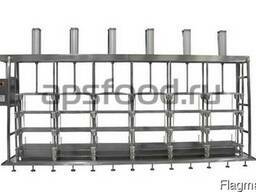 The press works with all mould varieties.